Friday morning, I finally gave in and bought a Blizzcon Virtual Ticket. $40 seemed like a lot when initially looking at the line-up, but I've never done it before. So, sit down at work, and try to catch up on what's going on. Unfortunately to watch the live-stream, I can only watch on a laptop that isn't able to keep up. It keeps timing out on the download and .... is like wa...tching a...really ba...d stutter. Bleh! Then I noticed that the downloader is trying to download a WoW update on this laptop. Oh! pause that.. Get it working early enough to watch the Hearthstone panel. Very interesting, but more on that later. The new expansion has been revealed. A bit of a time-travel piece where we go back to the start of the Orcs and prevent negative influence. Tell me, do you want spoilers (from the panel)?? New world, nice - sounds a lot like Northrend with a PVP zone. Build a garrison - guess we got our 'housing' option. Is it going to be like Civ where we can make money while logged off. Upgrade immediately to 90 - need clarification on this. Does this mean from 1? Or 80? Can I level 2 characters - one alliance, one horde? I am starting to think about what toon I'd boost to 90 immediately. New characters models. About time. Revamp old dungeons? Sounds a lot like Cata. It could be interesting, but no new content. Level cap to 100. Guess this means I won't be running heroic dungeons before I finish all of the zones. MoP, I made it to Kunlai summit and stopped. Still haven't opened up any of the last 2 zones. Had a friend fly me into the Temple. New class talents and ability bonuses? Refined quest system. I like how Timeless Isle and Battlefield Barrens worked out. I am not excited about a time-travel expansion. It 'could' be interesting IF for example, we start seeing changes in the current time-line. 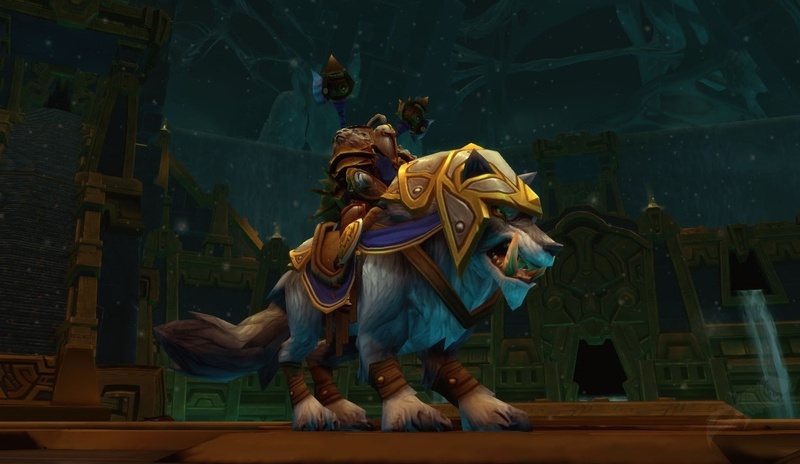 For example, if something the bad-guy does to the timeline excludes the Trolls from the Horde and they join the Alliance, or just never join any faction. Shattrath is a coastal city. More bag space - quest bags, collection closet (toys and heirlooms now go on a mount/pet type page). Goodbye Flex Raiding, Hello Normal Flex Raiding. Removing separate 10 and 25 raids, making a single normal raid that flexibly adjusts for number of players. With regards to time travel, this expansion is set 35 years before Vanilla. off the beaten path, find treasure! Chance to revisit Draneii storyline, revisiting them from BC expansion. "Never got to explore story" New champion, Urul "Draneii Joan of Arc". Bring Thrall back to smash things with his hammer. Like Timeless Isles, reward exploration of the zone. Sounds like our entrance to 6.0 is when Dark Portal turns red, Iron Horde will start coming through. Q&A: Jungles at base of both Eastern Kingdoms and Panderia, are we just north of equator, and will be we be exploring in a future expansion. Answer, yes/no. Time travel without all the time-y wime-y stuff. Essentially Chilton seems to emphasize that yes, the dark portal is going to turn red.. and it's going to then allow you to teleport to the location of Draenor 35-ish years ago.. but changes made in that Draenor have no effect on our timeline. Ie, it's the quantum worlds theory. WE still exist in a world where orcs drank Mannoroth's blood and turned green.. and in the Draenor we will be visiting that action has been stopped.. BUT that does not translate into a paradox.. instead it's like having two parallel worlds that each have their own timelines that move forwards at their own pace.. and to their own conclusions. Though my question.. if the dark portal turns red.. and now transports us to Old Draenor.. how do my 60s get to Outlands? Upgrade to 90. You get the opportunity to boost one toon to 90. Whether that toon is now 34 or 1.. whatever. My only wonder is if you have to do this as soon as you can log into the game.. or if it's something you can hold in your back pocket for a while.. and then use at some future time. Cross-realm raiding. If I can raid with my friends.. regardless of what server they're on.. then do I really need to change realms to be in their guild/on their server just to play with them? Item/stat squish. I like it in that big numbers confuse me. Removal of stats/consolidation of armor types. I like it in that it makes item comparisons easier (it seems silly to me that I *have* to have an addon to tell me which piece of armor is superior esp considering gems/enchants) but my honey dislikes it because of the "dumbing down of the game". I figure it's a thin line Blizz has to tread. How do you make it easy to tell which item is better.. and yet still interesting to choose between items? Hey Nibuca, it's my understanding that the current Panda Flex raiding allows for cross-realm raiding. Sadly, OpenRaids.us doesn't have anything for warlocks with a 520 gear score available, and I am not about to lead one myself.